Kaplowitz Scale (K most/best, to Z least/worst): Combustion O, Construction W, Complexity P, Transition A, Smoothness L, Richness A, Balance L.
Cigars City carries these Perdomo Slow-Aged Lot 826 offerings in Toro bundles. Hey! Maybe that format is good? Here's another chance to nail or re-nail yer own No-prize, and sign up for the Gentlepersons Weekly Newsletter. 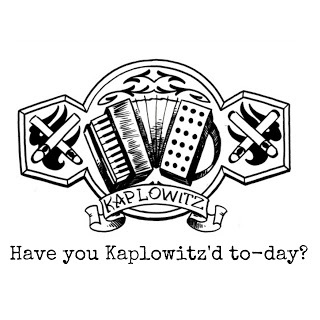 Also, LISTEN TO KAPLOWITZ RADIO. Sorry I yelled, but it is quite important. The response to my audio endeavors hath been something I am thankful for. Ric Flair is, according to TMZ, in a medically induced coma. Thoughts and prayers, gentlepersons. Send 'em along with a "Wooo," heartily-so. First Bryce Harper goes down, now this? Are you there, Hashem? It's me, Kap. Flair was checked into the hospital Saturday re: a heart issue. He is being prepped for surgery, currently. "Ric Flair is now out of surgery but the situation is still extremely serious." F4W Online. This was not a five minute operation. I'm getting caught up slowly-some. "Flair has a heart condition called alcoholic cardiomyopathy. On August 13, 2017, he was admitted to an intensive care unit (ICU) with heart–related issues. On August 14, Flair had surgery to help the heart–related issues." - Barnett, Josh (August 14, 2017). "Reports: Wrestling legend Ric Flair resting after surgery". USA Today. McLean, Virginia: Gannett Company. According to F4W Online: "Ric Flair remains in critical condition as of last word in a hospital in Atlanta. Flair underwent colon surgery yesterday to remove a blockage that was the catalyst for a number of different health issues that followed including kidney failure. Those in WWE were made aware that Flair is on kidney dialysis as well. A key is being able to get the kidneys back functioning. The surgery was considered a success, but as noted there are more issues involved." WWE Legend Ric Flair Experiencing 'Multiple Organ Problems' & Remains in Critical Condition: Report By PEOPLE/Jason Duaine Hahn, August 17, 2017: "Wrestling legend Ric Flair is experiencing “multiple organ problems” and remains listed in critical condition at an Atlanta-based hospital, according to his fiancée, Wendy Barlow."